Post-Punk Cinema Club: Why should I love: Shashi Kapoor? Why should I love: Shashi Kapoor? This will be part of our newest series, the Why should I love? series, which will aggregate our favorite movies of our favorite actors so that you too can understand why they are so appealing to us. 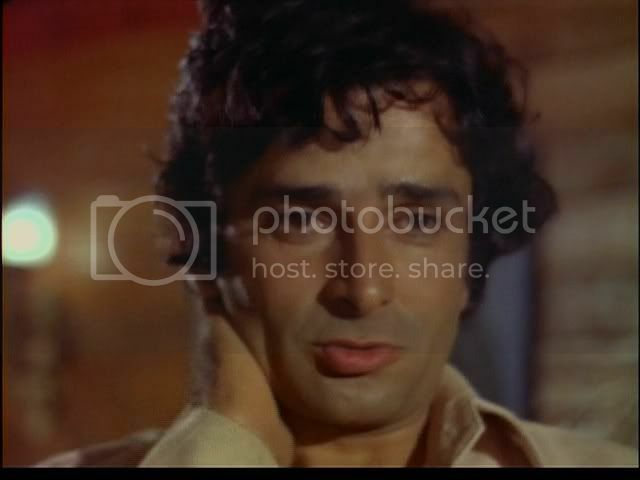 We'll start with our man of the moment, Shashi Kapoor. All shiny and new in 1975. We love you, Shashi ji!! Sorry for objectifying you all the time. Honestly, Shashi's like a Radiohead album. For example, Hail to the Thief. You start by listening to the hits - 2+2=5 or There There or Aa Gale Lag Jaa - like ten gajillion times. But then, once you are sated of those to the point where you can anticipate every beat, you start turning to the lesser-played tracks - like Where I End And You Begin (which is such a fabulous song) or Immaan Dharam or Ghungroo - and then they become your new favorites. But we have moved even beyond that in our current Shashi season. We've gotten to the point of loving the live Glastonbury version of Where I End or, that is, 80s Shashi. Is this making any sense? It made sense in the car earlier. Anyway, the point is: we love Radiohead, we love Shashi Kapoor. Just like we prefer abstract, pomo Radiohead of Kid A, so do we usually prefer hard-core Byronic masala Shashi of Chor Sipahee. Just like Radiohead had their pop days, so Shashi had his pop days. And so on. Oh, let us count the ways. 1. You should love Shashi because he is a great single father who takes his son on elephant and pony rides. 2. You should love Shashi because he really cares about worker's rights. 3. You should love Shashi because he will begrudgingly drive you home when you're wasted... and then fall in love with you, despite himself! 4. You should love Shashi because he looks great in pearl earrings. 5. You should love Shashi because he loves India to the point of wanting to pay taxes. 6. You should love Shashi because even though that love of India might turn a bit xenophobic, he still has an adorable way of talking to himself. 7. You should love Shashi because sometimes nobody loves him. 8. You should love Shashi because he looks good at all stages of facial hair progression. 9. You should love Shashi because sometimes he looked like he was made of plastic, all shiny and new. 10. You should love Shashi because he takes time off from being a jet pilot to sing transcendental songs in the park. The gratuitous cute Shashi pic. Yeah. Couldn't help it. I haven't read beyond the first line but had to skip to comments to say: "what a great idea!" and "I wonder how similar our reasons will be!" and "oooh gooody!!!!" Okay. I have read it. Yay! Oddly, I was thinking of doing something like this for his characters and appearances in Haseena Maan Jayegi for lo! there are so many! I'm watching my first Shashi film today! Woot! Ajnabi, what are you going to watch? Baited breath! Beth2 - OMG do it! I still have to get HMJ and all those 60s ones that you're watching. Pop Shashi! Filmi Girl - Aww, this is true. I want to bake cookies for him. Have you seen Chor Sipahee? He's very "woe, woe" in that, and I love it. Shweta - LOL! I think that's the alternate title of Ghungroo. Ajnabi - Exciting!! Which one? Great post PPCC! Cant say I like him in all the stages of facial hair evolution, but am learning to like his middle-age moustache. How about including his fab ability to recite romantic poetry (remember the wedding scene in Sharmeelee?) and the ability to make people believe any clunker he'd like to come up with (as in Pyaar Ka Mausam), as well. It's "Swayamvar." I had to leave about 90 minutes into it but I'm finishing it either tonight or tomorrow because so far I really like it. 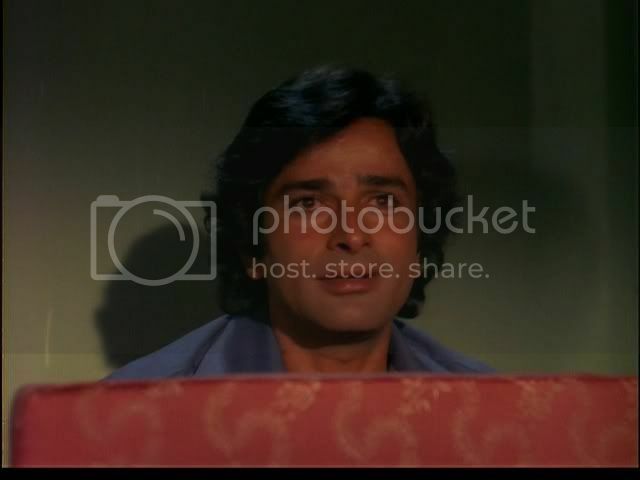 Bollyviewer - I have completely fallen for elderly Shashi lately! These 80s films are so sweet! And now I need to watch In Custody again, since that was actually my first Shashi film, but it's hardly a "Shashi film" in the usual sense. Aww, Swati sounds lovely! Thanks for the tip! Ajnabi - Ooh, Swayamvar is sweet. It's good but not great. I give it a B, overall, since Shashi and Sanjeev are both so darned charismatic and that one song is great. You need to get your hands on Aa Gale Lag Jaa for some serious Shashi action. I know I'm reading this a little late. But wow, I truly appreciate your love for Shashi I love this list! Hey guys I think I love Shashi kapoor I would love to meet him, I got to do that soon coz he is getting older one never know what will happen tomorrow. The only problem is where do I meet him? can anyone provide me his email id. I live in Houston may ne next time when I visit India will work on this plan. thanks for the post I liked reading it..